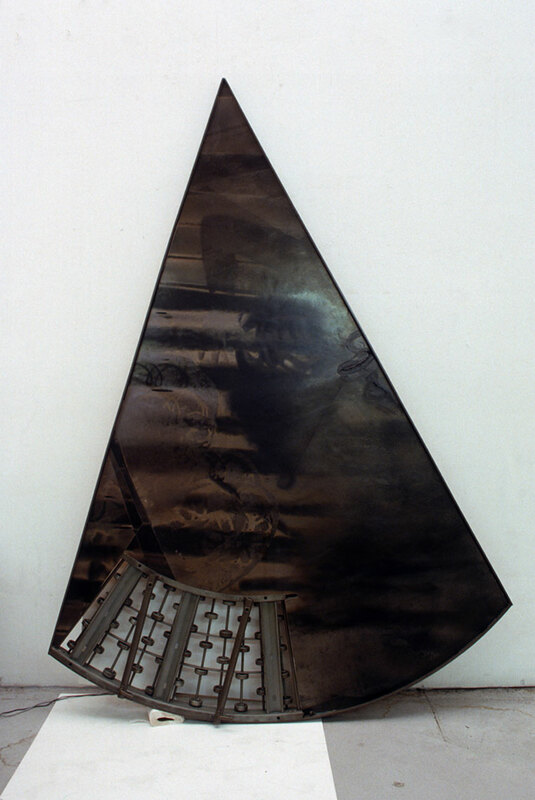 DNA Series: "A" Steel Sculpture with Combined Media Inserts. 95 1/2" x 72" x 6". 1992. Curated by Ruth Bloom, Mary Antino, and Rhona Edelbaum. Ruth Bloom Gallery. Collection: The Museum of Photographic Arts.